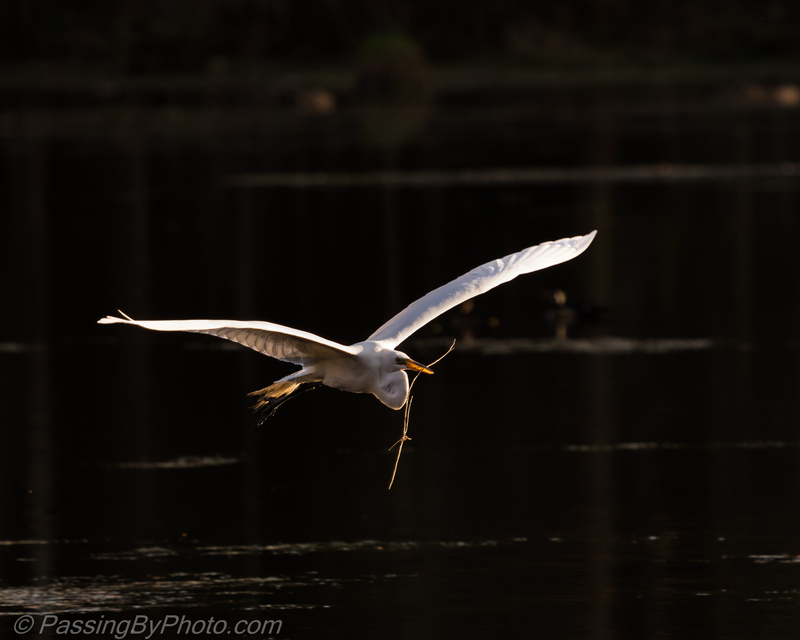 With less than an hour until the sun went down this Great Egret male stepped up his efforts to bring sticks to the nest. He selected sticks of all sizes and on some trips took quite awhile to pick them out. 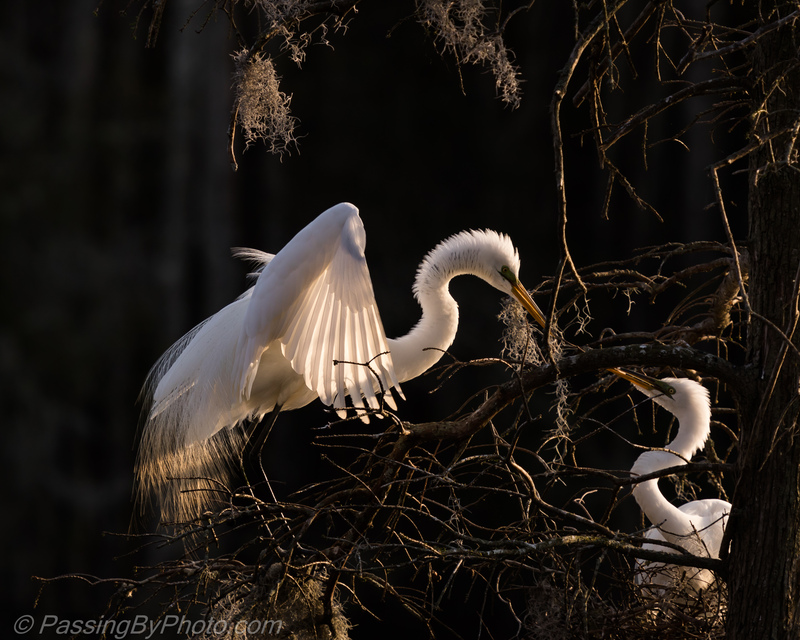 The female may already be sitting on eggs: she didn’t stand up when he got to the nest. She happily accepted the sticks he brought, rearranging each one multiple times. 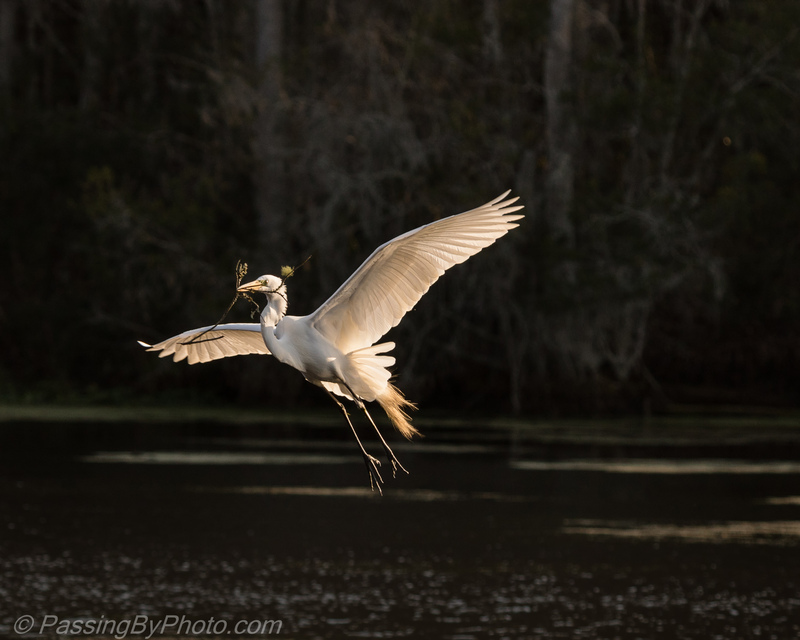 He flew to several points around the pond in his efforts, providing me with multiple angles for photographs. 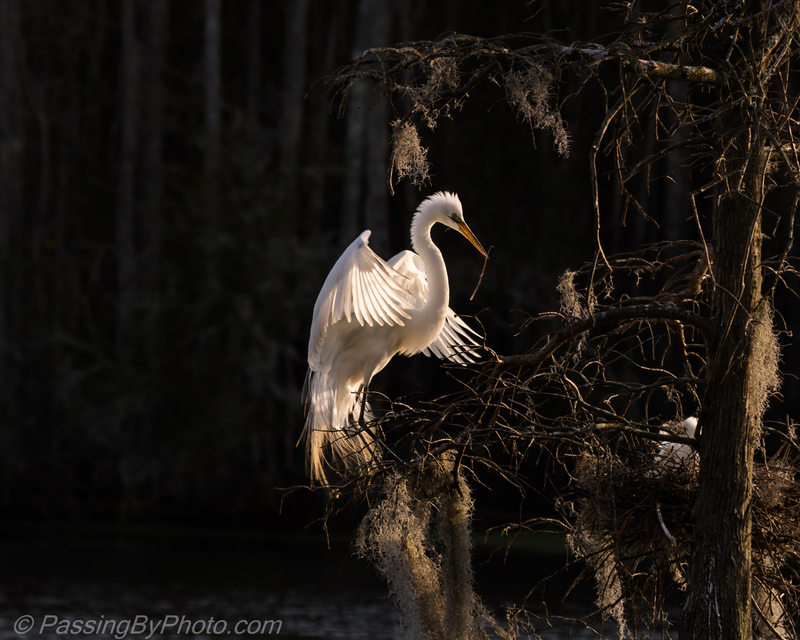 Great Egret, Magnolia Plantation Audubon Swamp, 3/4/2017. I love this action series, Ellen! Great work!! Thanks, Donna! I’m glad you enjoyed them.